Mountain Area Health Education Center (MAHEC) has partnered with South College to offer an institutional grant to active MAHEC team members, their spouses, and dependent children who qualify for admission. In addition to the grant, application fees are waived, and the grant will not change as long as the student maintains eligibility. Accredited by the Southern Association of Colleges and Schools Commission on Colleges (SACSCOC) to offer programs at the doctoral, educational specialist, master’s, bachelor’s and associate levels. We offer career-focused curricula across dozens of competitive fields. Our classes are designed to help prepare our students for a rewarding and challenging professional future. At our campus in Asheville, NC, we provide a range of academic courses. 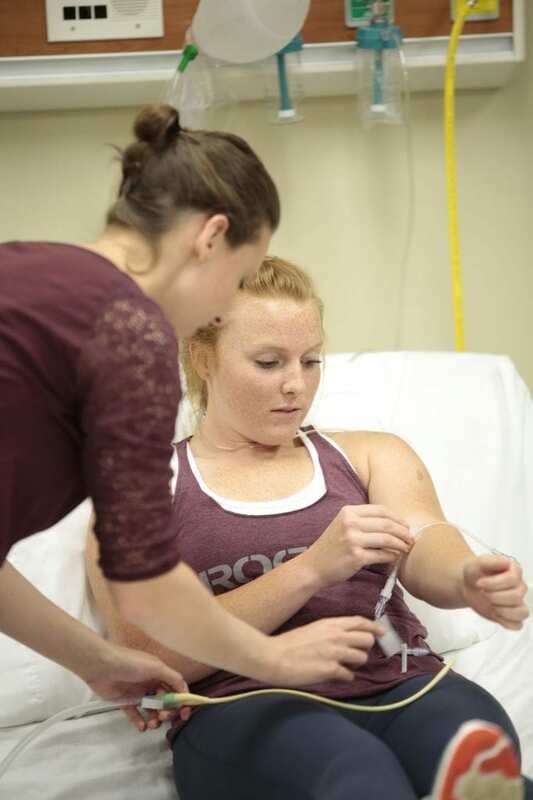 Our healthcare programs are especially popular, with options to study nursing, diagnostic medical sonography, medical assisting, occupational therapy, surgical technology, and more. We also offer certificate and degree programs in other high demand industries, like criminal justice, business administration, and accounting. At every step, we encourage the application of knowledge, critical thinking, effective communication, and lifelong learning. In addition, our experienced faculty members strive to prepare our students to work in a dynamic, diverse, and global workforce. You can start advancing your career with a specialized degree online or on campus, deepen your existing expertise, or develop new professional skills. Degrees, short-term certificates, and single-course offerings are available. Plus, team members and immediate family members of Pardee Hospital receive an institutional grant per term. We know that your career goals and life schedule are different than most college students. Our 137 year history of educating working professionals is just one reason why South College is the right college for you and MAHEC. Advancing in healthcare today requires complex and specialized skills that set you apart from your professional peers. South College’s degree programs will hone your expertise in such diverse fields as nursing, radiological technology including MRI, CT, and Nuclear Medicine, Physical Therapy, Nurse Practitioner, Physician Assistant, and more. Whether you’re starting a new degree or completing one, South College is an excellent education partner for MAHEC and for you. Reputable: Regionally accredited by the Southern Association of Colleges and Schools Commission on Colleges (SACSCOC) to offer degree programs at the doctoral, educational specialist, master’s, baccalaureate, and associate levels. Heritage: 130 plus years of educating and training tomorrow’s future professionals for their careers. Timeliness: Quarter-termed academic calendars offer freedom to get into major classes more quickly and complete your degree in less time. Accessible: Campus and online options for many classes that include 24/7, 365-day online learning support. South College is providing me the opportunity to be a part of a wonderful program and receive the education and training I need to be a successful occupational therapy assistant. I chose South College because they have an accelerated program where I would be done sooner. They also have a PA program that I am very interested in. Since being a PA was my ultimate goal, I thought South College would be the perfect place for me to start on my path to that. It is smaller than a university so you get more one-on-one interactions with the professors, which I really value. It was not something I needed to learn to do, it was something I was supposed to do [becoming a nurse]. After 38 years it was just something that was kicking in.